Editor’s Note: We’re often asked by educators, “what impact do you see with Google technology in schools?” Last year we engaged Evergreen Education Group on a journey around the world to answer that question. During Education on Air on Saturday December 3rd, we will share the findings in Impact Portraits. These portraits demonstrate success with Google for Education through the lens of teachers, students and administrators. To hear Linda Darling-Hammond lead a discussion on Impact Portraits, register now for Education On Air. At Evergreen Education Group we’ve studied K-12 digital education for fourteen years. Among the most important developments we have seen is the proliferation of devices in the classroom, whether through bring-your-own-device, district-led one-to-one programs or other channels. Relatively little study to date has examined how devices are successfully deployed and what their impact has been. We were therefore thrilled that Google was interested in learning the answers to these questions, and in particular that they understood the study required speaking directly with the district and school leaders, curriculum and instruction specialists, and teachers at the forefront of the use of technology. Particularly they wanted to understand the impact of Chromebooks and G Suite for Education across schools. Over the course of 16 months we spoke with more than 100 district and school leaders in six countries representing more than 880,000 students, analyzed each school’s documents and data, conducted surveys of administrators, teachers and students, and reviewed surveys the schools conducted. Our goal at every step was to let educators tell their stories, be honest about the challenges and failures, and celebrate the successes in the vein of highlighting these wonderful schools and providing guidance as schools continue down the digital path. Early in the project we were asked to complete the sentence “Technology in the classroom equals…what?” Our answer: when considered alone, technology equals nothing. Technology is a tool that can be used well, or it can be used poorly. But when technology was combined with four key factors, it could help the school flourish. What are these key factors? Planning, Professional learning, Patience, and Support. Why are these factors necessary? Because supporting the teachers who are using technology and transforming classrooms takes time—time measured in years, not weeks or months. What does success look like? It takes different forms. But one common factor is that when educators speak of their success, they rarely lead with technology. Instead they talk about personalization, student engagement, and the role of teachers—all of these supported by technology. The findings reveal examples of accomplishment and achievement from schools in different geographic regions, of varied sizes, enrolling a diversity of students. We—and the educators that we interviewed—would never suggest that the use of technology is a silver bullet that will in itself improve student achievement. However, based on our review of these schools, we are confident in saying that technology, when well planned and implemented, can be a key component of a successful digital strategy that has a positive impact on student outcomes. Charlotte-Mecklenburg (US), the world’s largest Chromebook deployment, outperformed the state and other large North Carolina school districts in exceeding student growth expectations in 2015-2016 and saw a 20% increase in graduation rate. At McKinnon Secondary College (AU), students are actively driving learning and creating more than 1000 Google Docs each day. McKinnon was ranked 14th among all schools in Victoria and named one of the top 50 in Victoria based on Mathematics and English results in 2015. Maine Township 207 (US), an early adopter of G Suite for Education, created a supportive learning environment that helped maintained high ACT scores even as demographics shifted and the low-income student population grew. This shift in demographics typically puts pressure on test scores, but the support of 1:1 take home Chromebooks helped Maine keep the playing field level for all. Tring School (UK) saw 21% of students perform above their expected level in Science compared to the previous year and 20% more students reach average results in Science over the previous year. In Oshkosh (US) changes to English class instruction improved passing rates in two classes from 75% to 94% and from 82% to 97%. And Oshkosh high schools, which implemented Chromebooks and G Suite first, outperformed the elementary school on measures of collaboration, critical thinking and creativity. 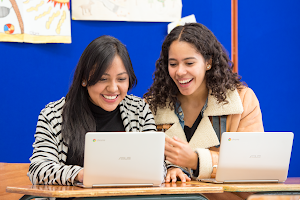 At St. Patrick’s College (NZ), Chromebooks enabled a flipped classroom for the Science department. Students receive more tailored feedback, and self-assessment is now seen as an essential step during assignments. Year 9 students saw a 97% pass rate on test designed for Year 12 students. Devonport Boys High School (UK) saw 60% increase in students accessing their accounts outside of school. Students led clubs, campaigns and trips using G Suite for Education tools to work together. Along with the individual cases, we surveyed leaders from across these schools and our initial results from the US found that more than 80% of respondents believe that the use of technology had a strong impact on the district’s vision, culture and ability to deliver professional learning. Three in four respondents report that the use of Google tools had a positive impact on the district budget, and--in a surprise to us--63% said the technology had impacted curriculum. For additional findings and examples of instructional impact, read the Impact Portraits released on a rolling basis at g.co/EduImpact. 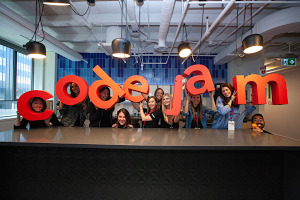 For ideas on successful implementation of technology, visit Google for Education’s Transformation Center. And stay tuned to the Google for Education blog for a deeper look into each portrait and more profiles from the US, UK, Sweden, Spain, New Zealand and Australia in the coming months.